High performance, made in Italy. 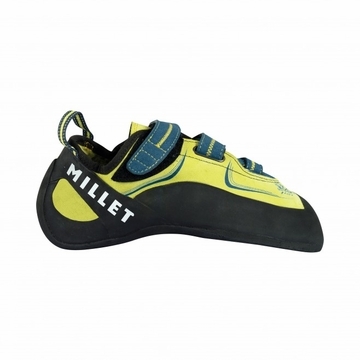 The asymmetric Myo Sulfure is the most technical climbing shoe in the range. 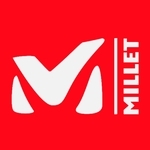 The favorite of Millet technical adviser Nils Favre (level: 8C), it was engineered for athletes, which makes it such an asset. Conceived by demanding and advanced climbers, this high-grade shoe, with its pronounced downcurve, can make do with even the tiniest rough edge. Its very soft, quality leather conforms to your foot, becoming totally customized. To touch your limits and reach beyond, the reverse velcro closures enable targeted tightness � for an even subtler sense of feel! Ease of use (speedy on/off) makes this the flagship product for high-mountain guides and other qualified climbing instructors. These professionals appreciate its highly durable camber, assured by a TPU insert. The forefoot thus keeps its bite over the long haul. The versatile, sleek Myo Sulfure demonstrates its force on boulders, crags and indoors thanks to the excellence of its �ber-sticky Vibram XS Grip rubber.